We offer home and senior facility visits. Click here to learn more. Podiatry Associates of Texas proudly serves the community of Arlington, TX. Our two podiatrists treat many foot and ankle conditions such as heel pain, bunions, and ingrown toenails. 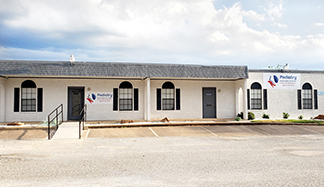 Our practice also specializes in wound care, limb salvage, rearfoot and forefoot surgery, and bunion surgery. Our doctors always prioritize conservative treatments before considering surgical procedures.